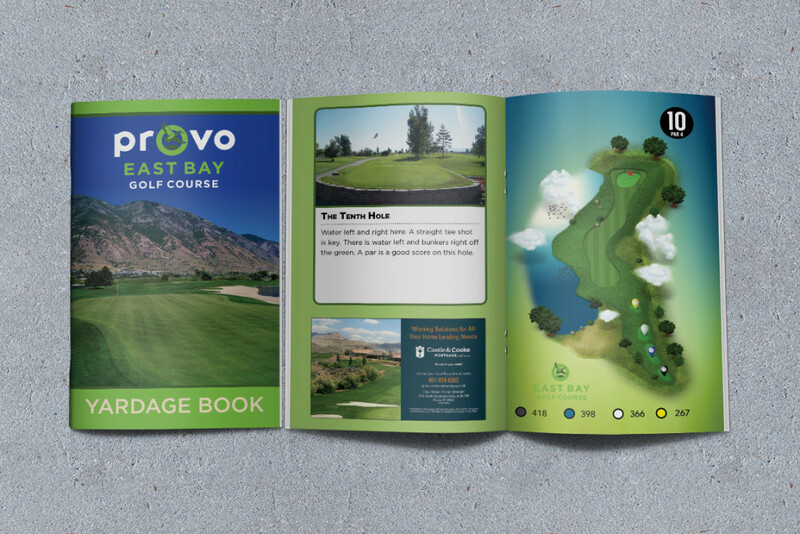 Our course guides are the golfer’s book of choice. 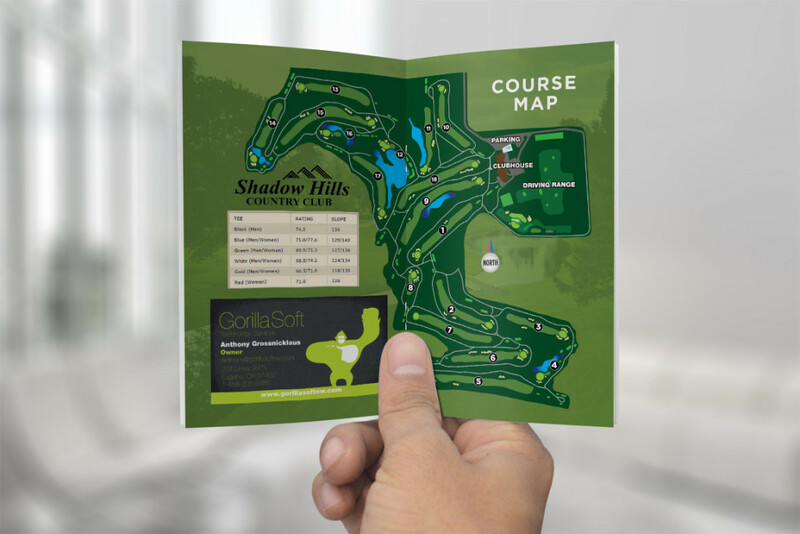 When creating a course guide we have one goal in mind; supply the player information that is going to help them shoot the lowest score. 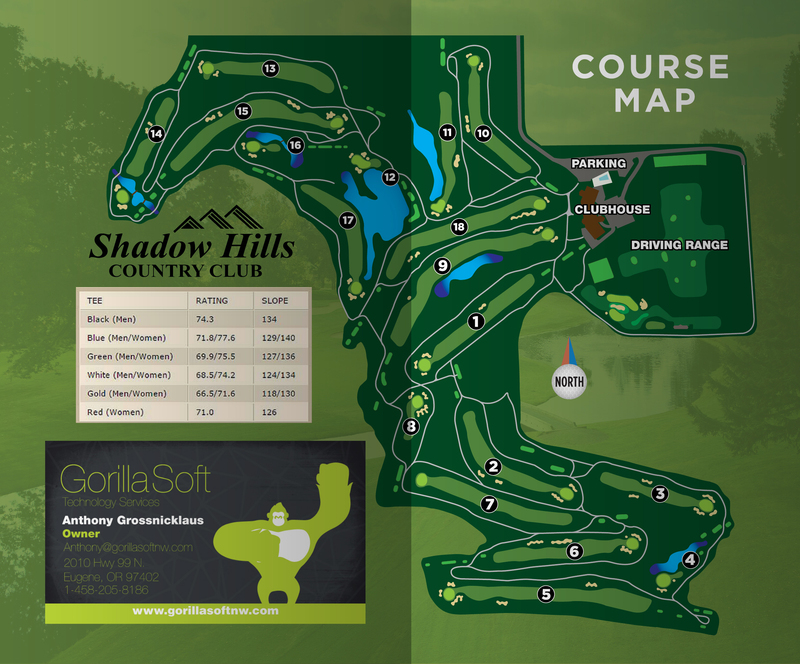 We thoroughly examine every course by providing measurements to, and from any position. 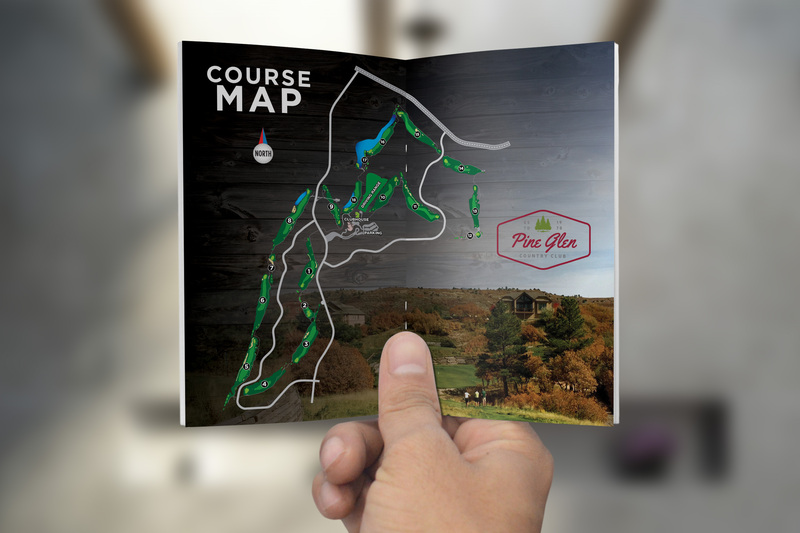 For a golfer that hits an excessively long drive, to a chip out from the trees, we will have a measurement somewhere close by. 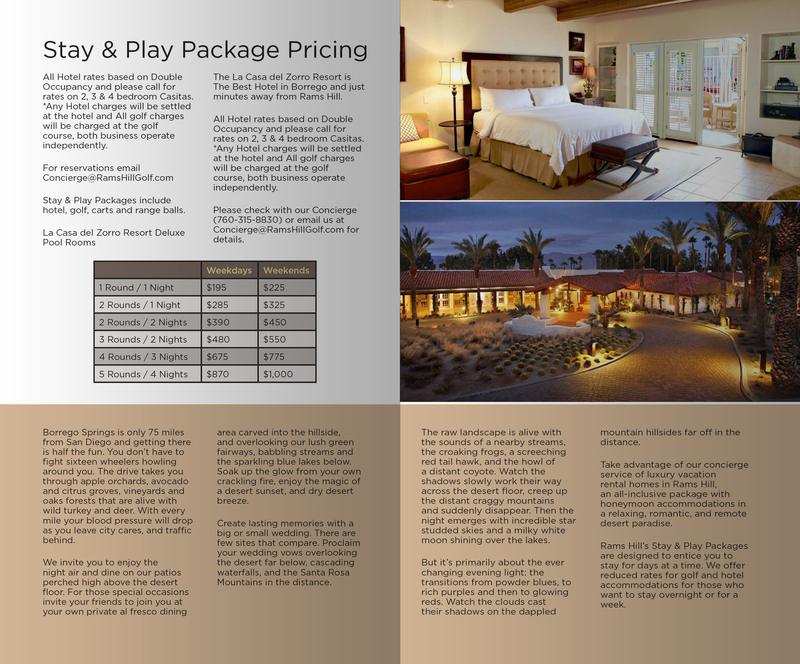 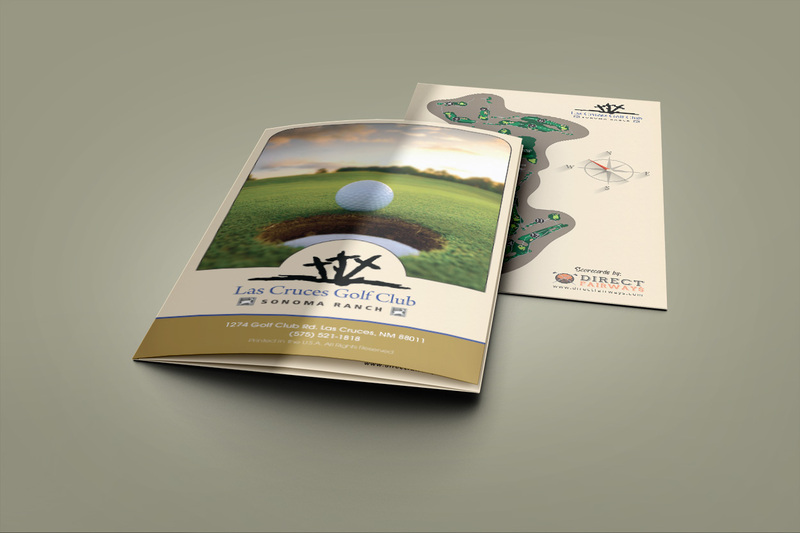 We dedicate 2 pages of every booklet to each hole. 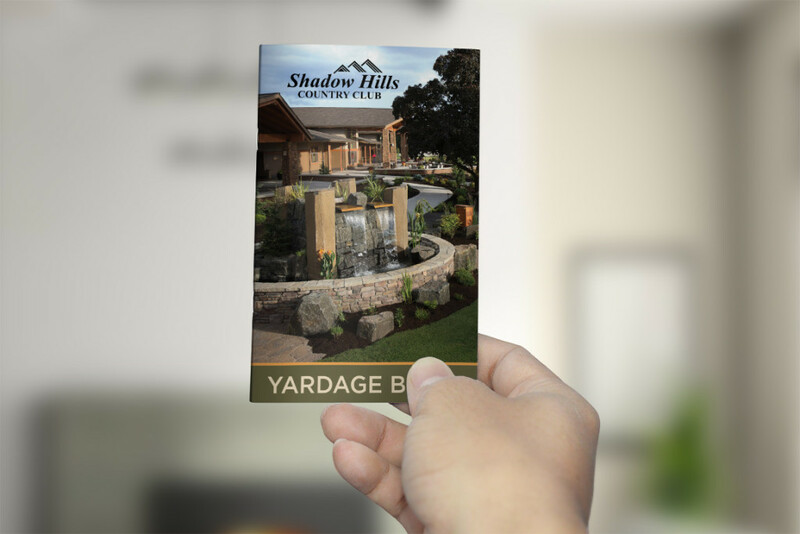 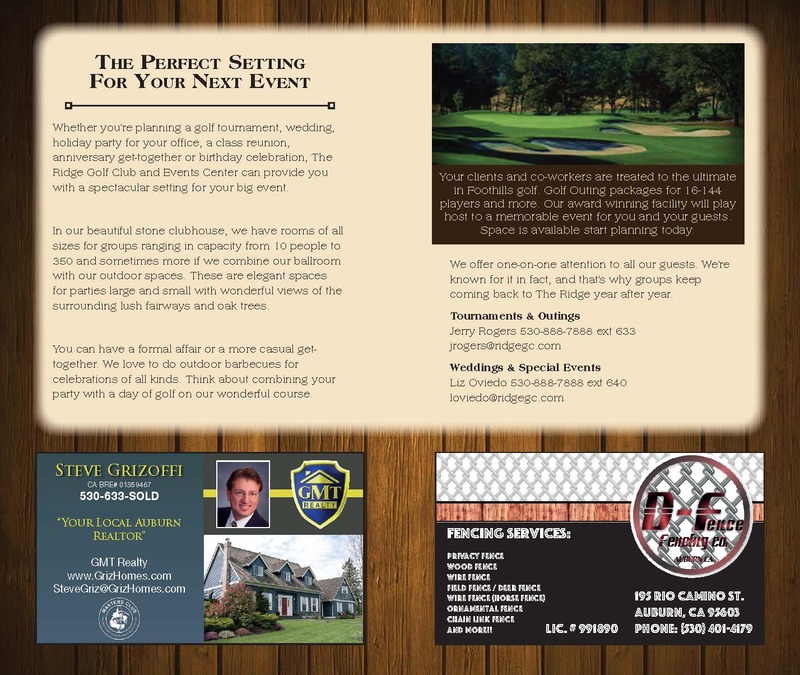 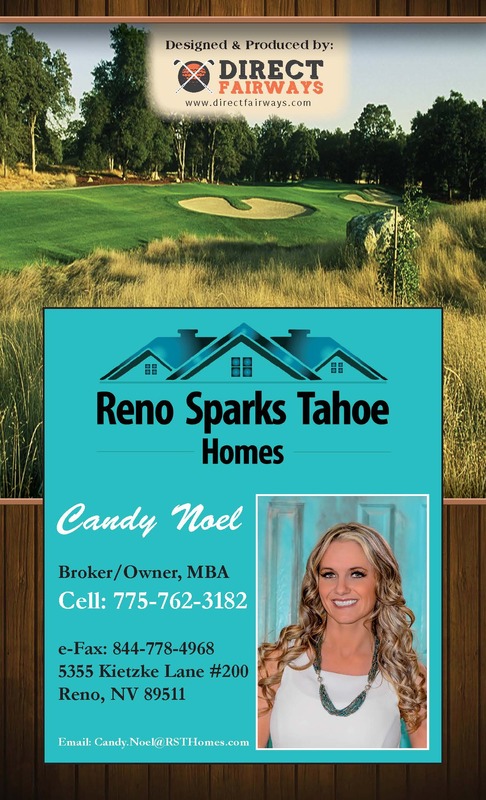 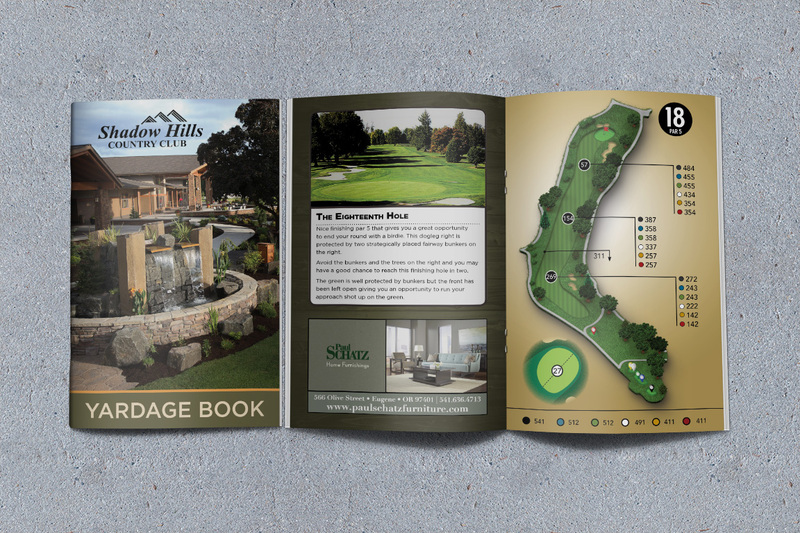 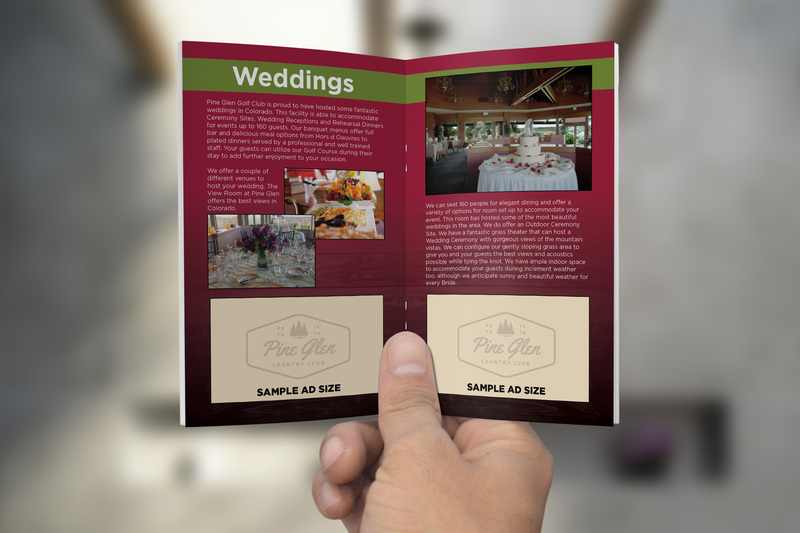 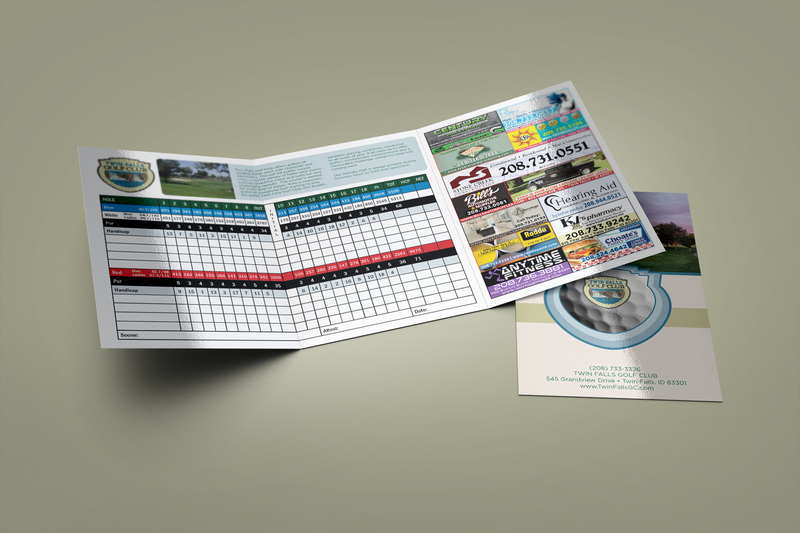 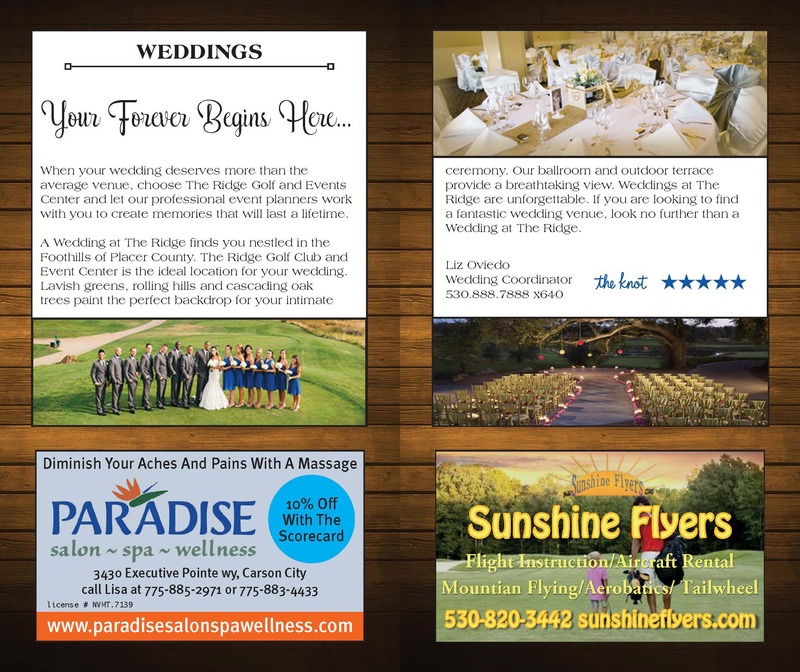 On those 2 pages you will find a full color rendering of the hole, a photograph of the hole accompanied by a pro tip that describes the hole and a business card advertisement for a local business. 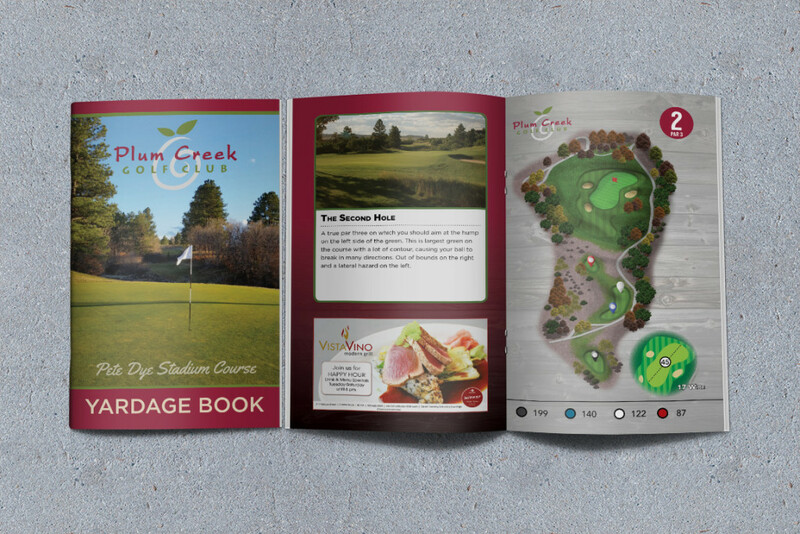 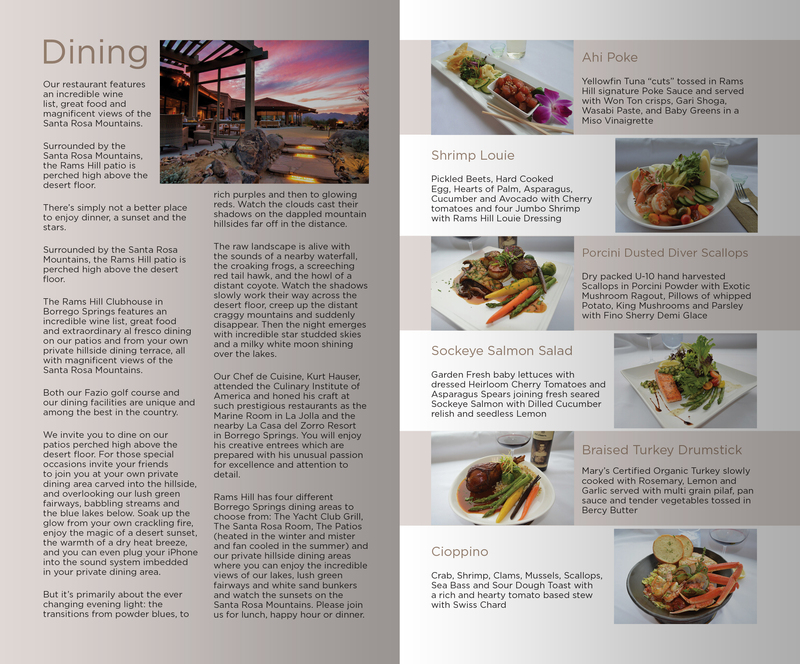 You will also find a full course map and scorecard in the middle of the book. 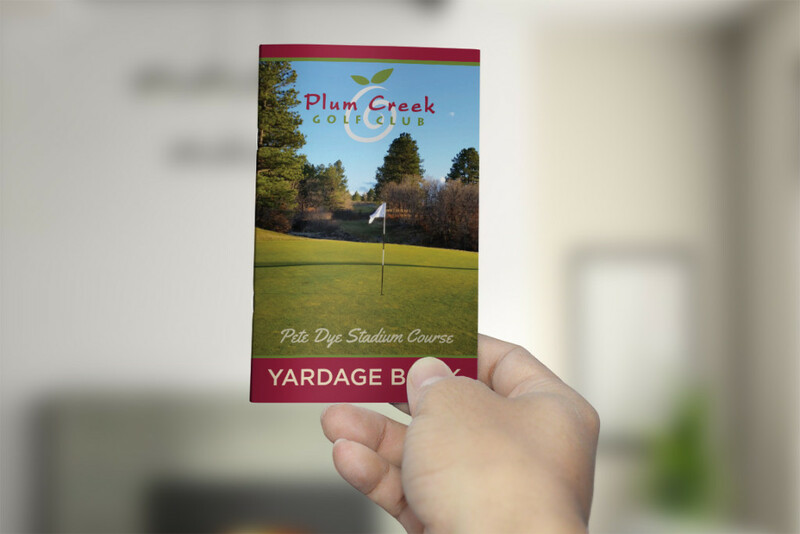 Typical amenities that are showcased are on-site restaurant, weddings, pro shop, clubhouse, practice facilities, tournaments, hotels, stay & play packages, tournaments and others. 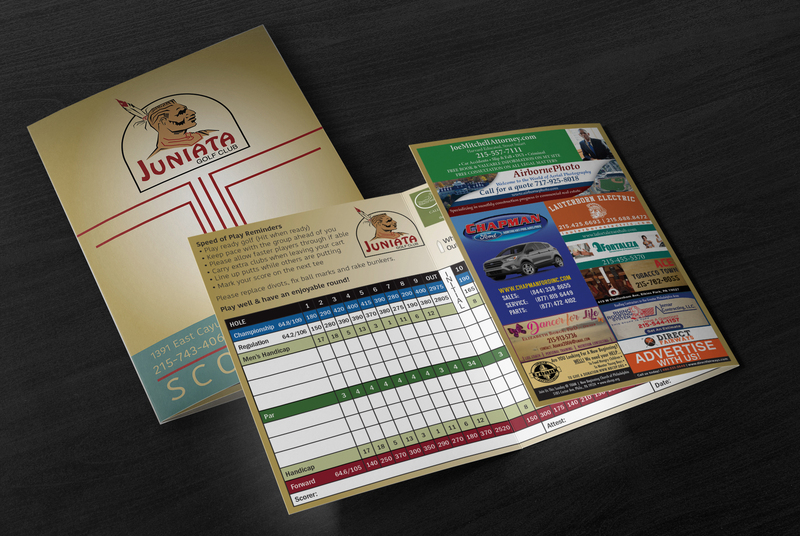 One business slot on the back cover. 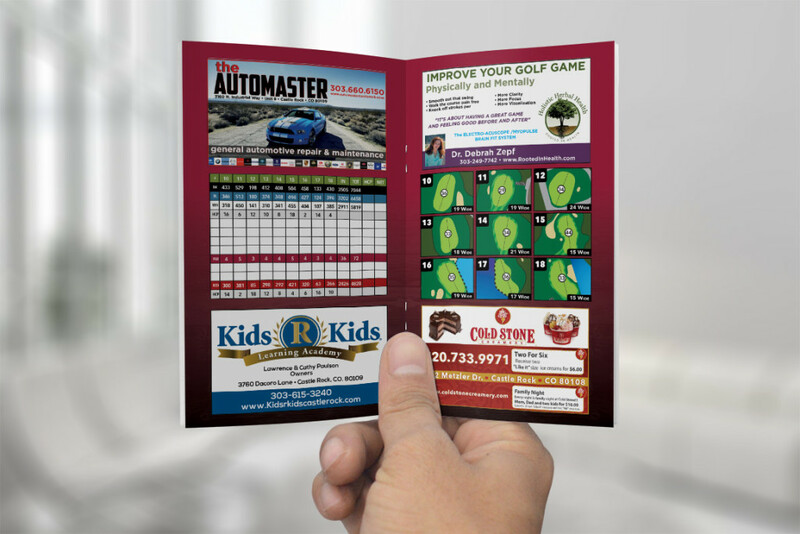 Can be a full page sponsorship.